Project Perfect Mod :: View topic - Yuri Voxel's Pack. Posted: Wed Nov 30, 2011 10:23 am Post subject: Yuri Voxel's Pack. Hey guys here is my yuri Voxel Pack it includes most of Yuri unit's It most likly Includes common units....,Also ill make another Special Yuri units pack, Anyways have fun with these and don't Forget to Credit me and you can edit them as you like. -Yur's Mantis V1 and V2. happy modding And Almost happy new year to you guys . 'Bout time! But just Yuri? What about Allied and Soviet? 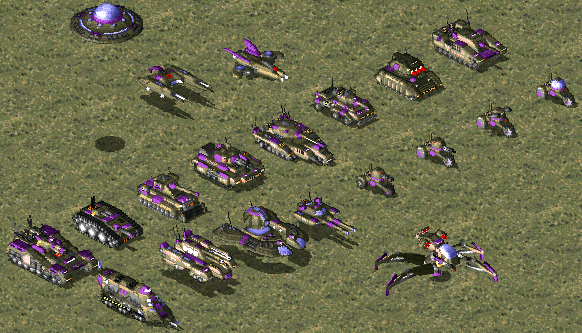 Just Yuri's Voxel's ,I Think Azri_Apoc Covered the soviet and allied Voxel's so there no need to release them right away I'll do that later, Besides Yuri's Remade and New units were needed in this community. Wich ones are messy so i can Remodify them agine. Thanks Bu7loos. and I very rarely do this, but you have my spotlight vote, because it's the best damn Yuri vxl pack around. I'm gonna have to say I'll be using like 90% of these voxels in my mod. Ace work all-around, and I'm gonna put my vote in for spotlight. Awesome stuff dude, I vote spotlight for sure. Opening Post needs images of the voxel(s) before a spotlight can be issued. A ztyping awesome! 6/5 director's cut! I do not see here that amazing Yuri's Space Ship! Bu7loos you forgot to add Subterranean transport for Yuri and some more of flying saucer, for example repair disc or whatever. Do it in next version, that Floating Disc is awesome too! Some voxels aren't uploaded because they are "mod exclusive" assets. Can't we wait for the fixed version before spotlighting it first? Yes your right I am going to Polish those..
even if some voxels need fix, this pack deserve spotlight as it is much better than most voxels on the spotlight forum. Why isn't this spotlighted yet?. how were these voxels made? He makes everything by hand in VXLSEIII. Welcome back, by the way. I don't think it ever got spotlighted. Quick, come back! Someone spotlighted it! I love how the spotlight standards are rigorously stuck to. No preview whatsoever. Way to go, PPM! There is a picture, even if it only shows them all from one angle. Odd, it didn't display before.